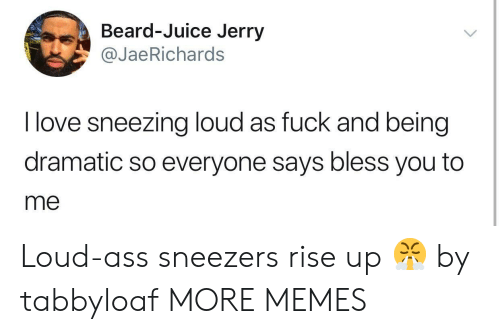 Memes, Help, and Strong: Always use a handkerchief. 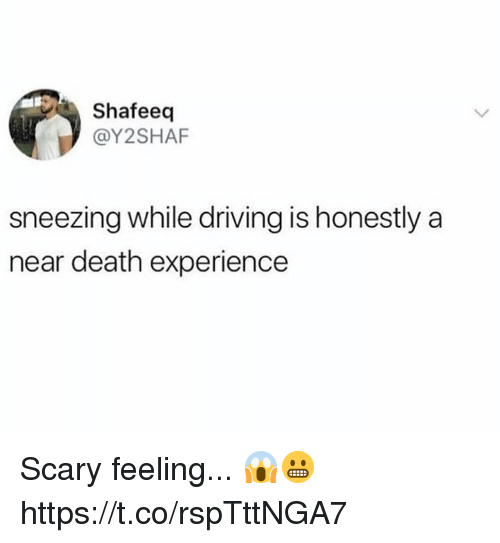 Sneezing into a "hanky" will help your germs collect, so they can grow strong enough to kill you and put you out of your misery. 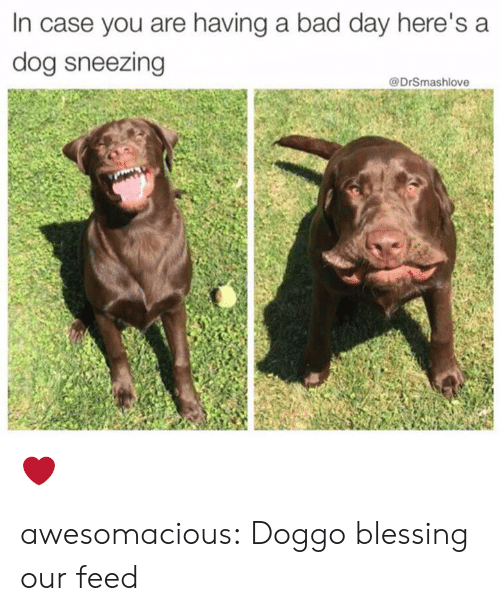 Use it! 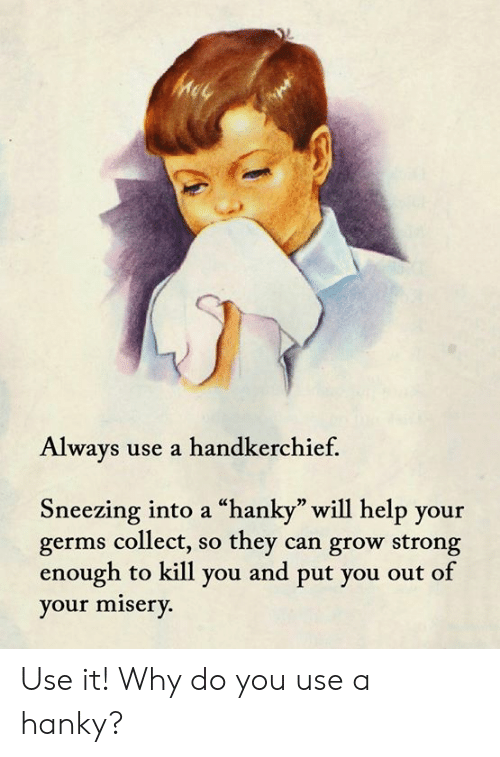 Why do you use a hanky? 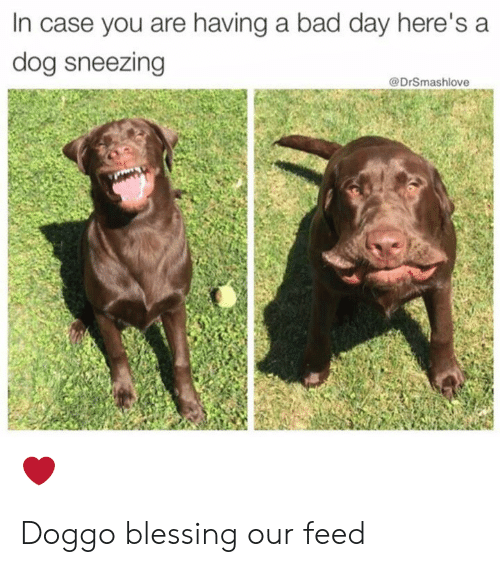 Use it! 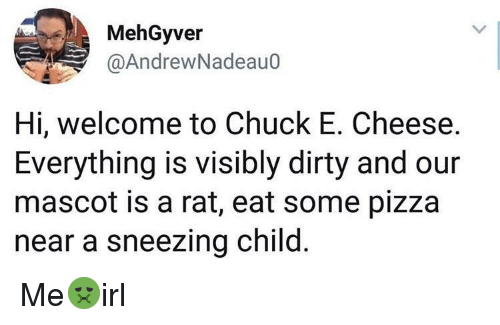 Why do you use a hanky? 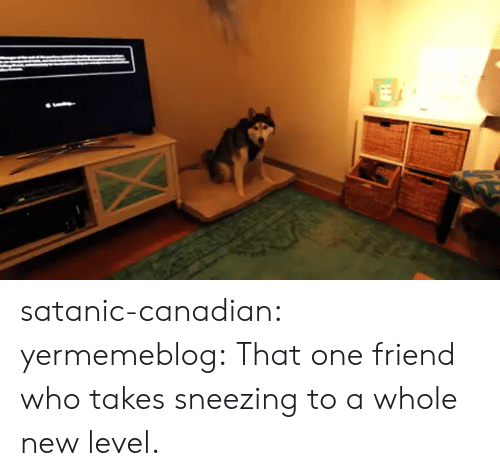 Gif, Tumblr, and Blog: satanic-canadian: yermemeblog: That one friend who takes sneezing to a whole new level. satanic-canadian: yermemeblog: That one friend who takes sneezing to a whole new level. 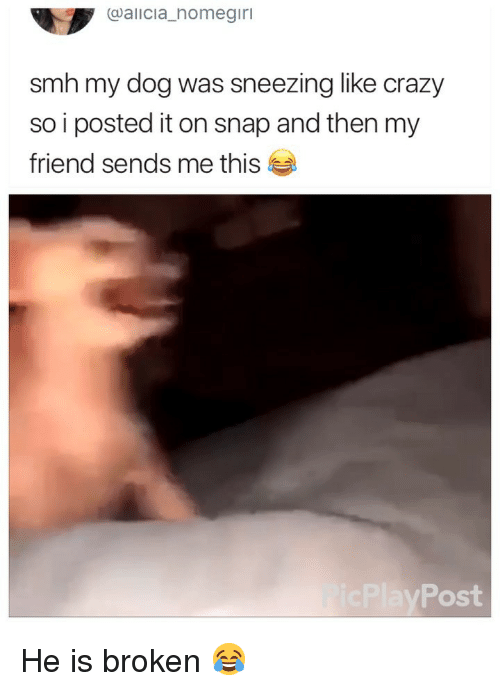 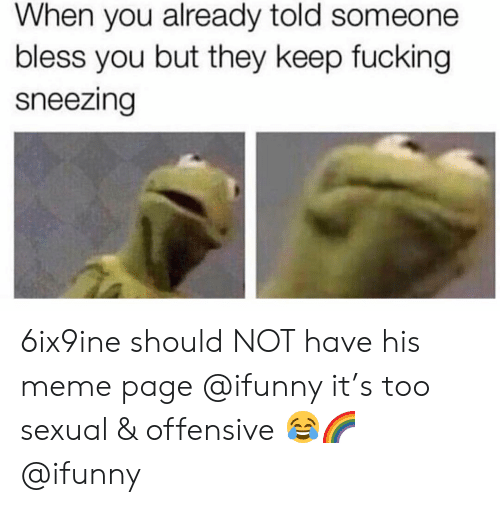 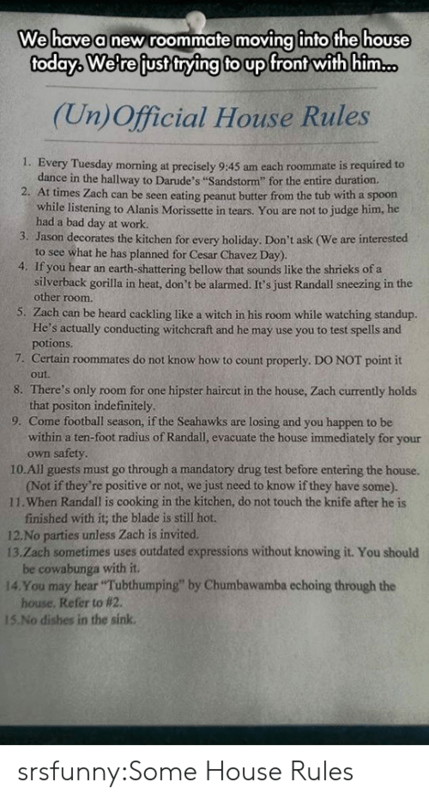 Gif, Target, and Tumblr: satanic-canadian: yermemeblog: That one friend who takes sneezing to a whole new level. 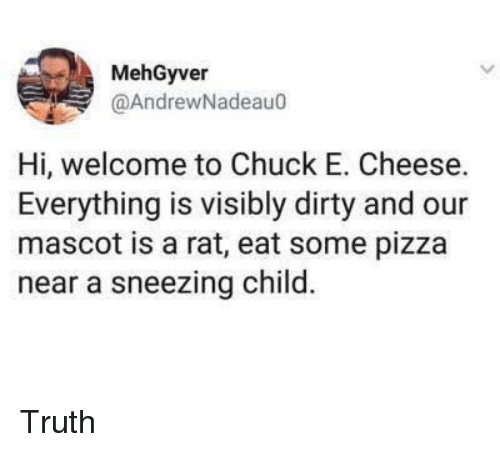 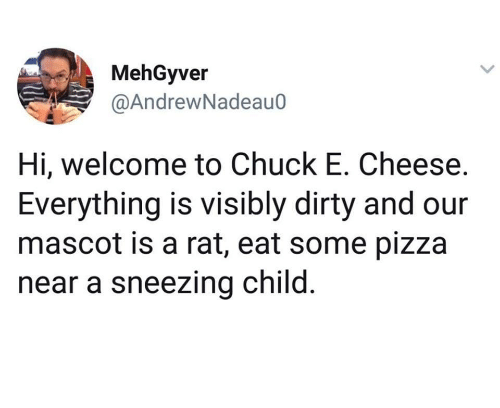 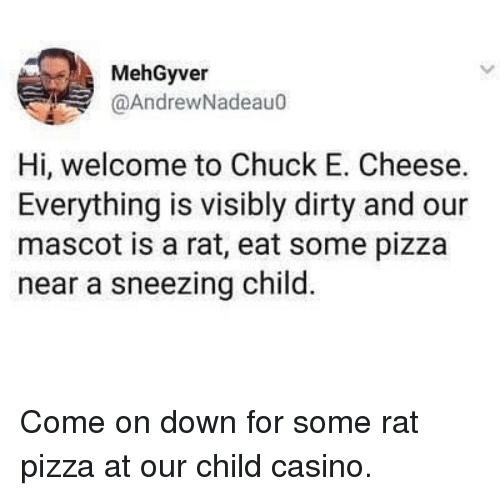 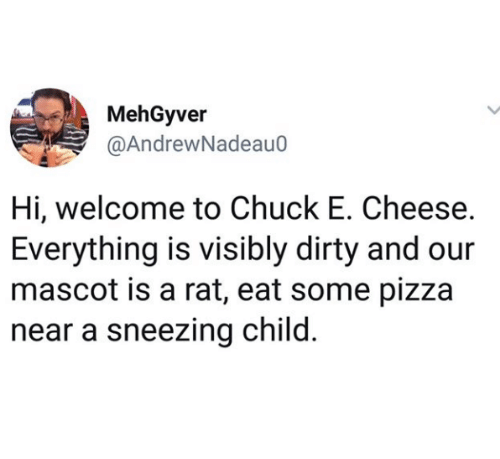 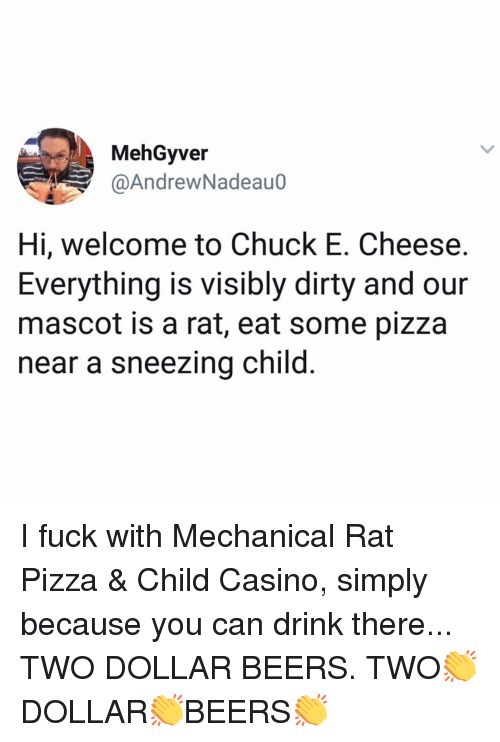 Chuck E Cheese, Memes, and Pizza: MehGyver @AndrewNadeau0 Hi, welcome to Chuck E. Cheese Everything is visibly dirty and our mascot is a rat, eat some pizza near a sneezing child It’s a solid 3-10 experience. 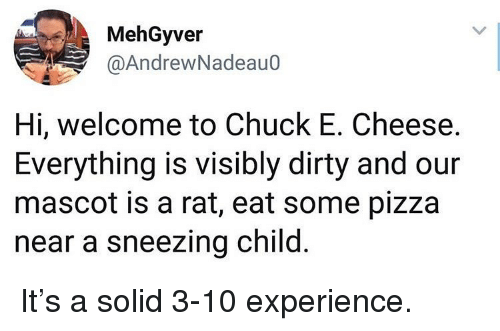 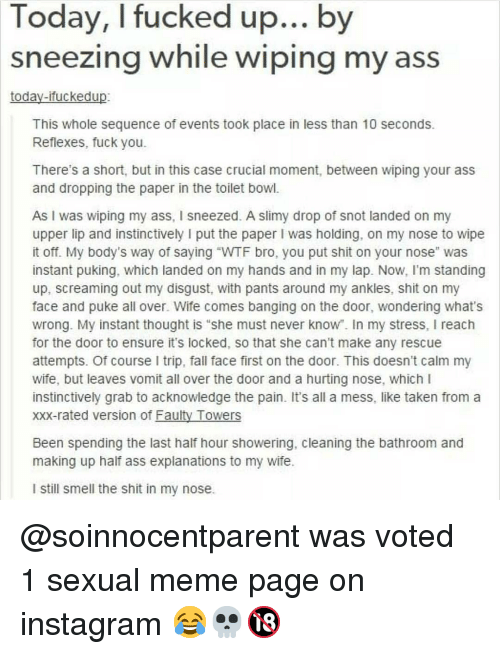 It’s a solid 3-10 experience. 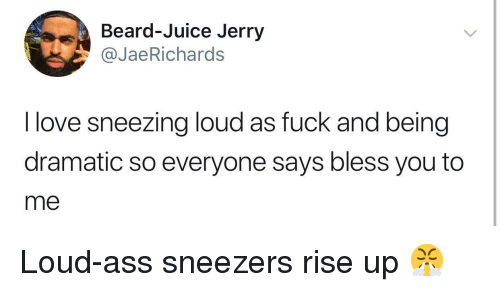 Scream, Birds, and The Birds: I just made the mistake of sneezing in my bedroom. 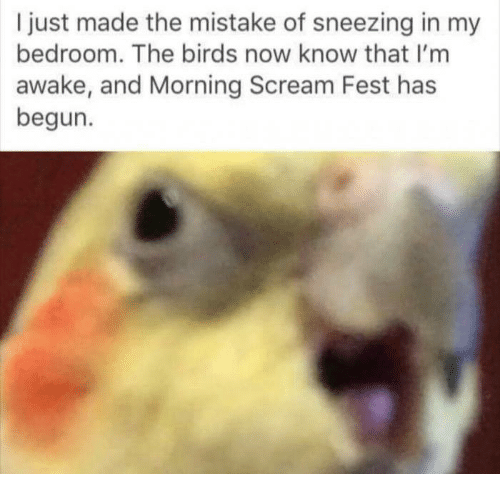 The birds now know that I'm awake, and Morning Scream Fest has begun. 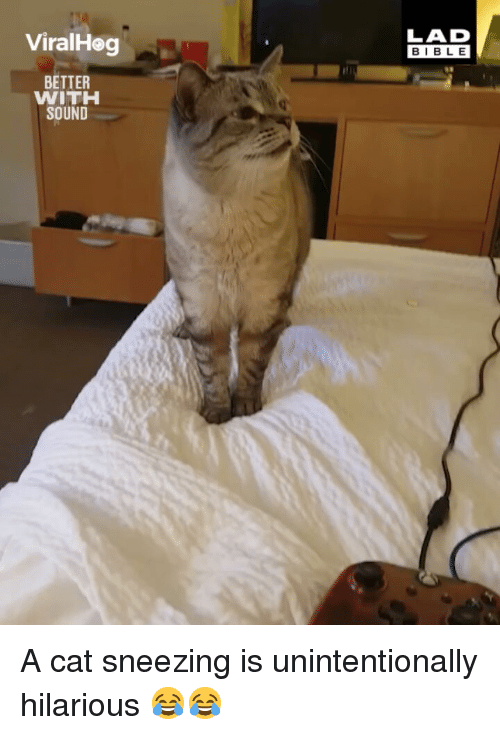 Cute, Weird, and Panda: ho dares oppose Nominatus, viral sensation and destructor of worlds? 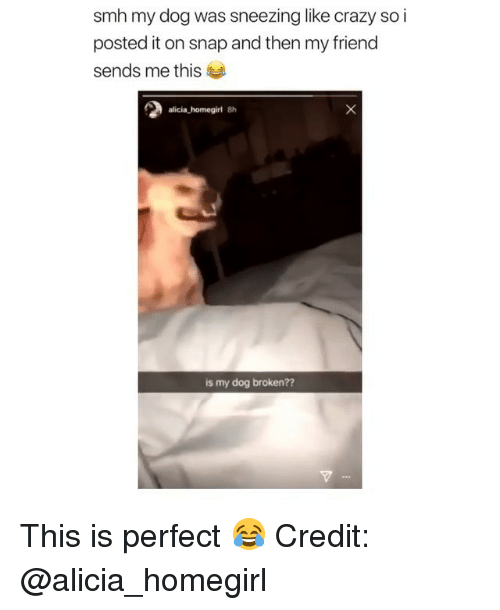 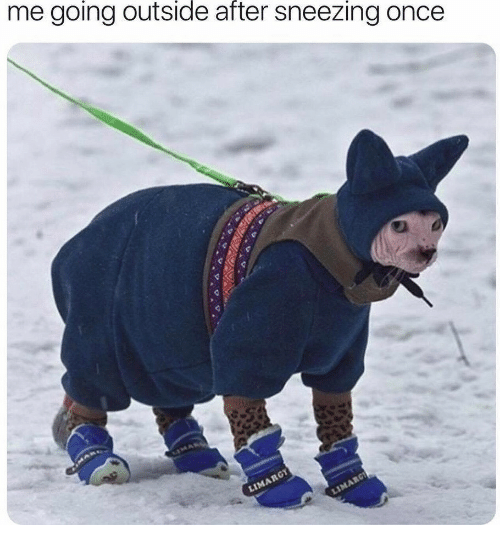 NEW "Viral sensation?" 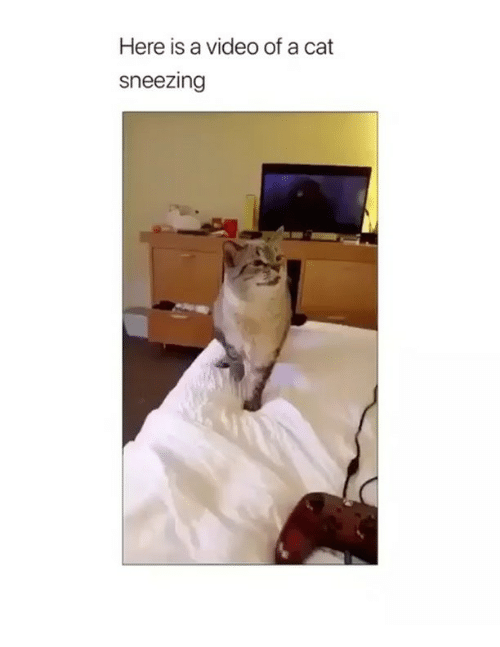 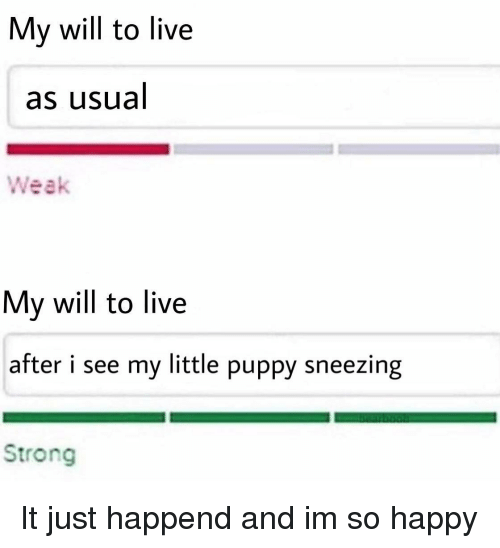 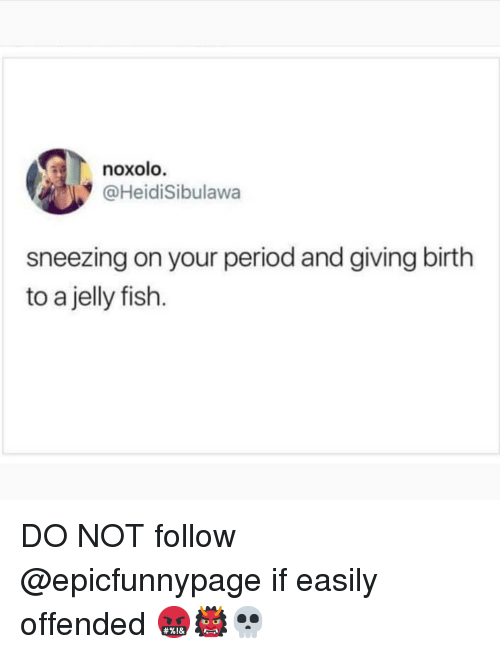 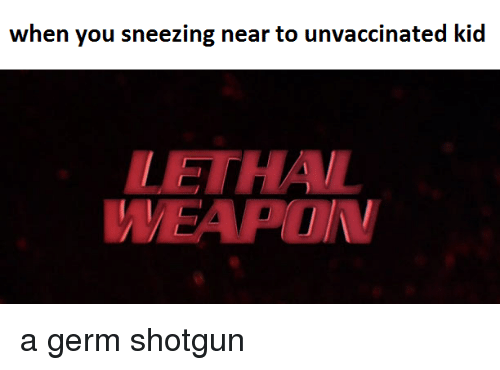 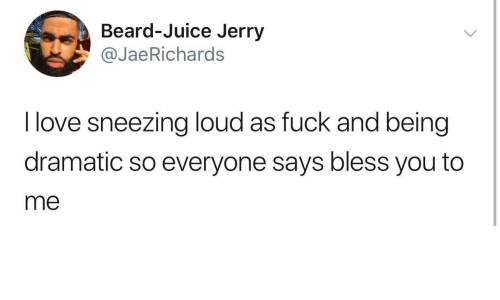 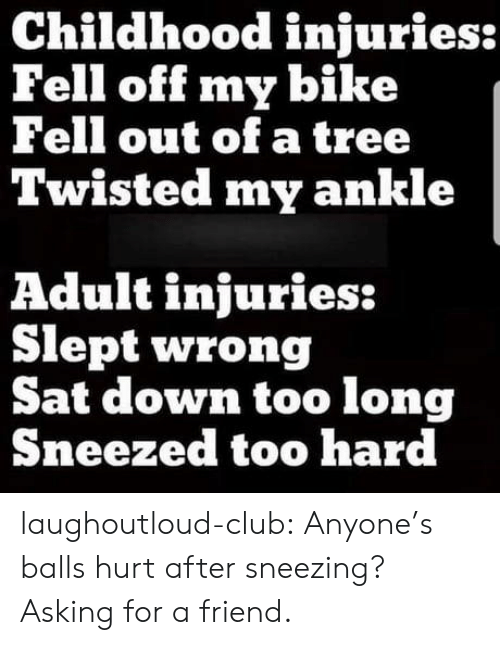 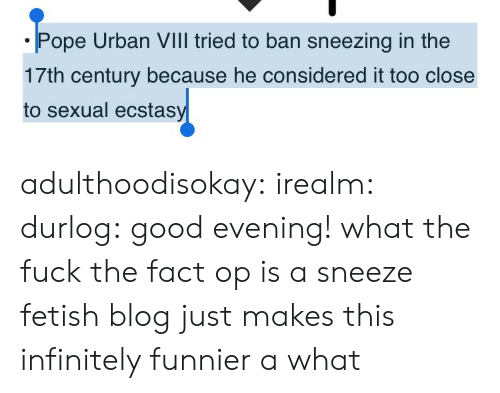 You mean like that cute sneezing panda? 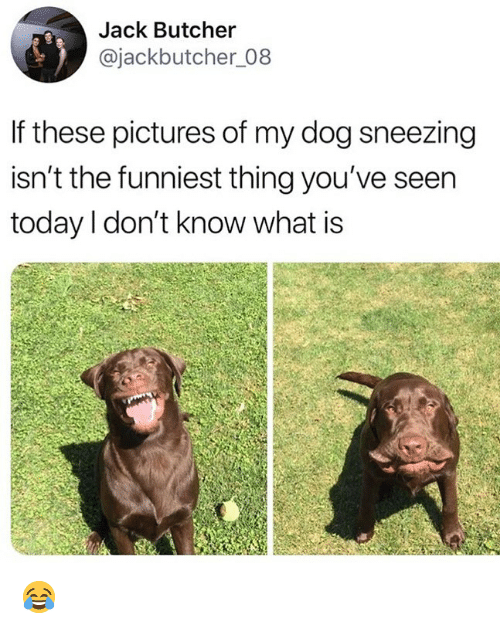 NEW Or all those weird pictures of me? 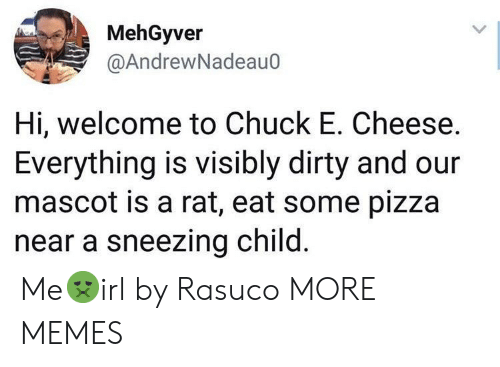 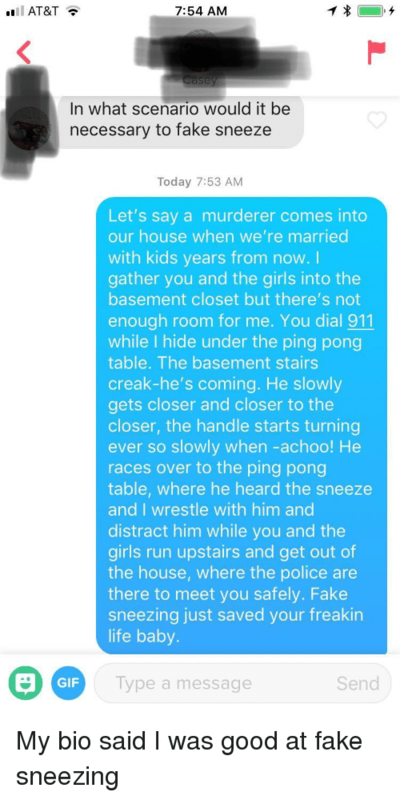 He’s becoming self aware. 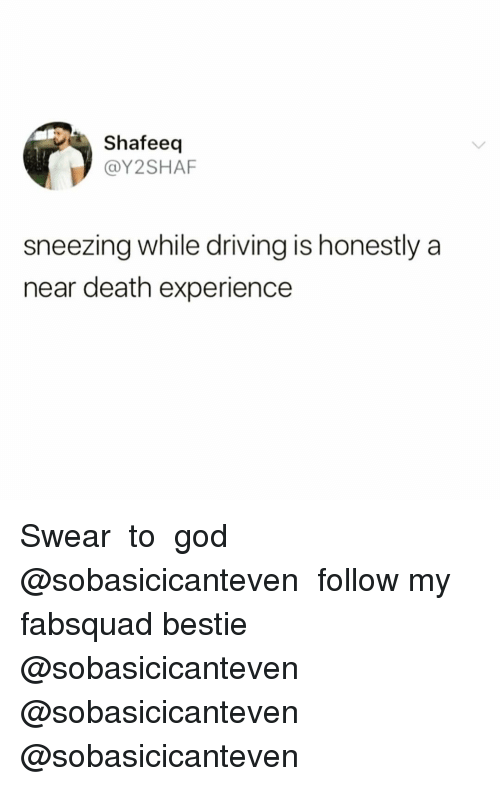 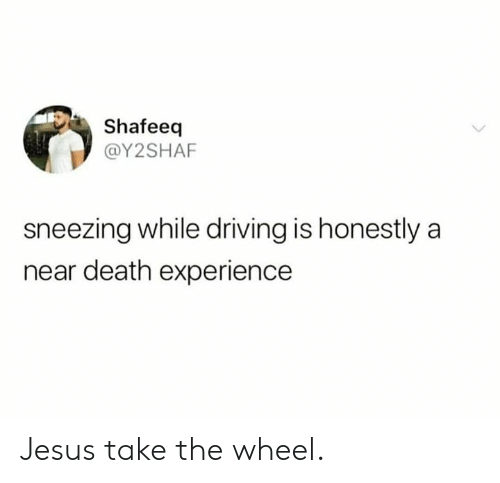 Driving, Death, and Drive: Shafeeq @Y2SHAF sneezing while driving is honestly a near death experience I don’t really know how to drive but this seems about right. 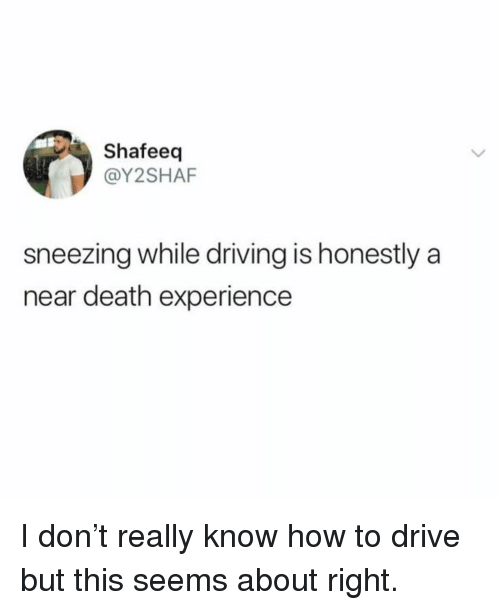 I don’t really know how to drive but this seems about right.